The animation style is what really makes this film stand out. If I were to attempt to describe it I'd say it's meant to be a very retro version of a printed motion comic. i.e. it combines elements of poorly registered print comics with an effort to simulate 12 frame per second, hand drawn animation, and comic book style panels etc. It's very much a mix that gives the whole look of the movie an individual style overall. Hence, it would look amazing on a big screen. The story, whilst centered around Miles Morales, has to juggle a lot of characters, which for the most part it does fairly well but at the expense of putting all the characters on a kind of sliding scale of importance. For example, we get to know Miles, Peter Parker, Peter B. Parker, and Gwen fairly well, then there's three other versions of Spider-man who just arrive all at once. You get glimpses into their story but not enough to get you invested in them. Which I understand why, but then you get even less from the rogues gallery and their stories. I'm not sure you'd even fully understand Kingpin's motivation on the first viewing if this was your first introduction to Spider-man. Speaking of which, if this is your first introduction to Spider-man, it's a great introduction to just some of the incarnations of Spider-man there is in the comics. Though I'm not sure you'll find much on Peter B. Parker in the comics (I don't know maybe there is a run for washed up, mid life crisis Spider-man?). even when he's wearing sneakers? The general story revolves around Kingpin trying to access the multi-verse to bring back his family. In the process he somehow manages to drag a bunch of Spider-men/women into the current timeline. From then on it's all about how they get back, whilst thwarting Kingpin's universe wrecking scheme. For me this was a fun movie but I did find it dragging somewhat in middle and feeling it was a little overlong. I put that down to the action sequences (yeah I know, but let me explain). The thing I dislike the most about animated superhero movies is the action sequences. They're nearly always so over exaggerated that nothing about them feels real. You never feel a punch... and, when you do, chances are that character has survived much worse earlier in the fight/movie that you question why they suddenly don't seem to bounce back now. As such lengthy fight/action sequences in animation tend to lose me, where as the character moments are the parts I enjoy the most. 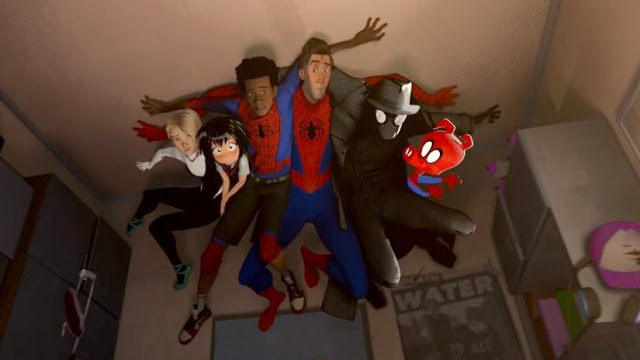 Into the Spider-verse's character moments are mostly really great. There is one exception that I felt wasn't necessary but it would spoil a bit of a plot twist moment that didn't really seem necessary in the big scheme of things. 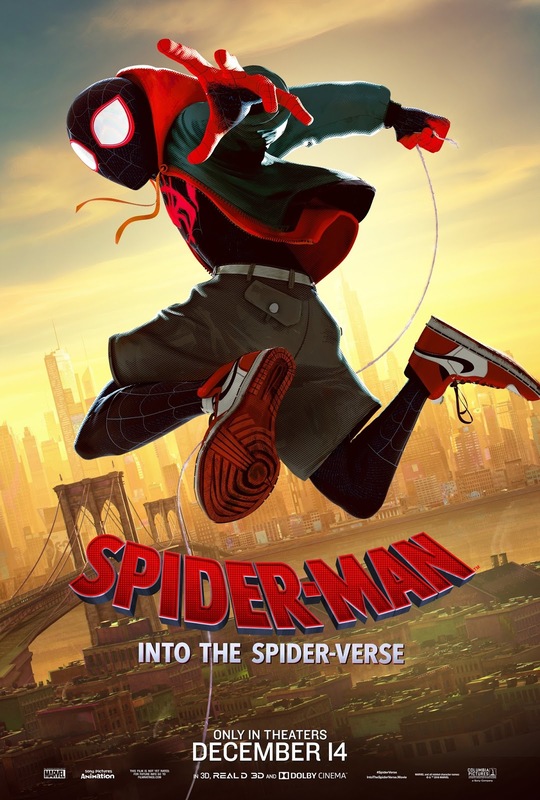 Overall, if you're a fan of animation, this movie is one for the collection, as it's a style that very likely will be imitated and inspire future animation to be more experimental and different. You'll certainly enjoy this if you're a superhero, and specifically a Spider-man fan. If you have pre-teen kids or older into this stuff it's one you can definitely enjoy with them. My hope is that this movie will inspire Sony to do better with Spider-man (come... on? A Venom movie without Spider-man? What are you doing Sony?). Maybe they let Peter Parker continue to play in the Disney MCU and Sony can work on a live action Miles or Spider Gwen movie... those I would see in theatres! I'd even consider a seeing a live action Peter B. Parker movie with Tom Hardy's Venom as the villain. I'm just saying I don't have a lot of interest in Spidey villains without Spider-man. Anyway, Spider-man: Into the Spider-verse. If you're one of the few who didn't see it in theatres you probably should kick yourself, it would've been great. That aside it's still great on a smaller screen, and is probably in the top two of Spider-man movies made by Sony (I mean Spider-man 2 is pretty great if you forget it has virtually the same beats as Spider-man 1 and 3). It's a fun watch and a great glimpse into the wider multi-verse of Spider-men (and women).